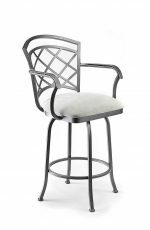 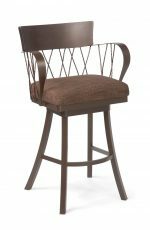 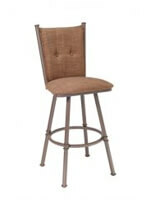 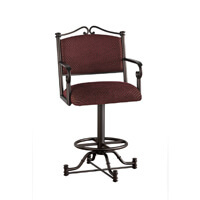 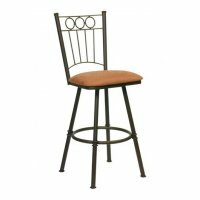 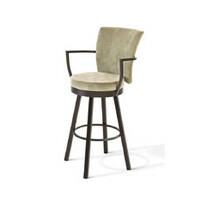 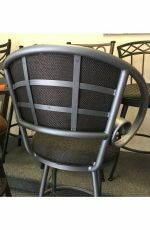 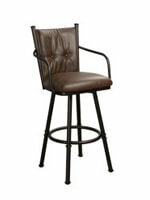 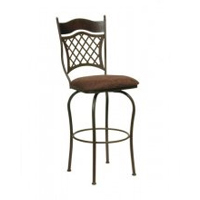 Amisco Wicker Swivel Metal Stool w/ High Backrest - Free shipping! 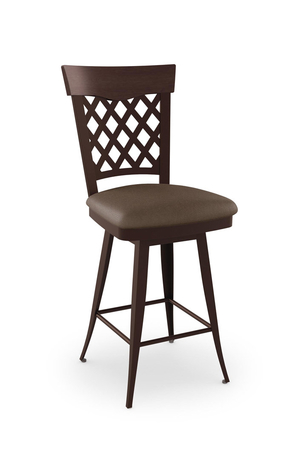 The Wicker takes a style cue from timeless, classic lines. 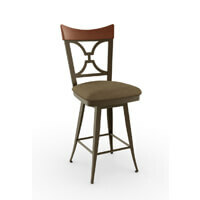 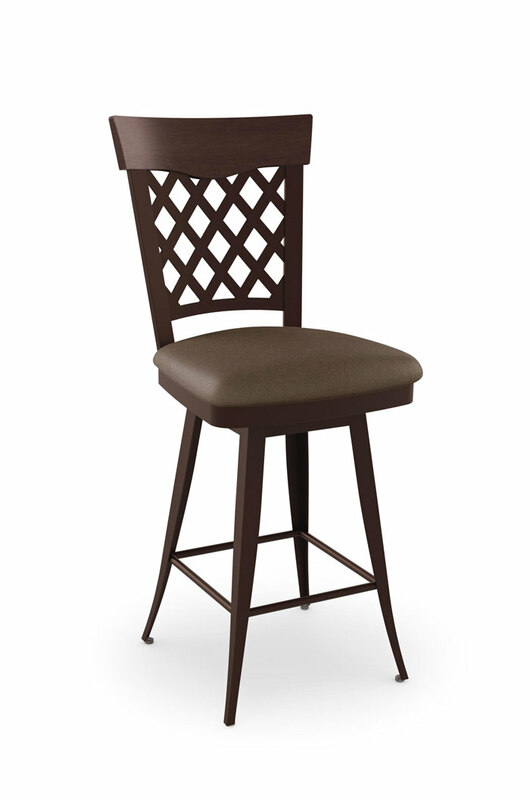 The attractive woven back adorned with a solid wood piece is the very definition of unpretentious elegance. 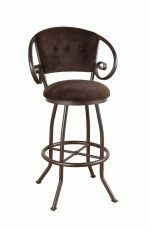 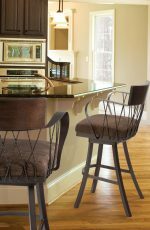 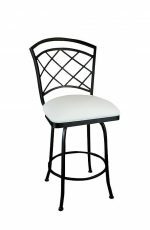 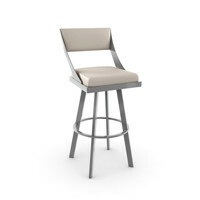 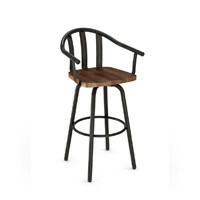 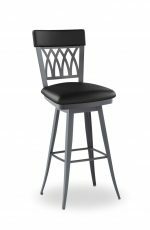 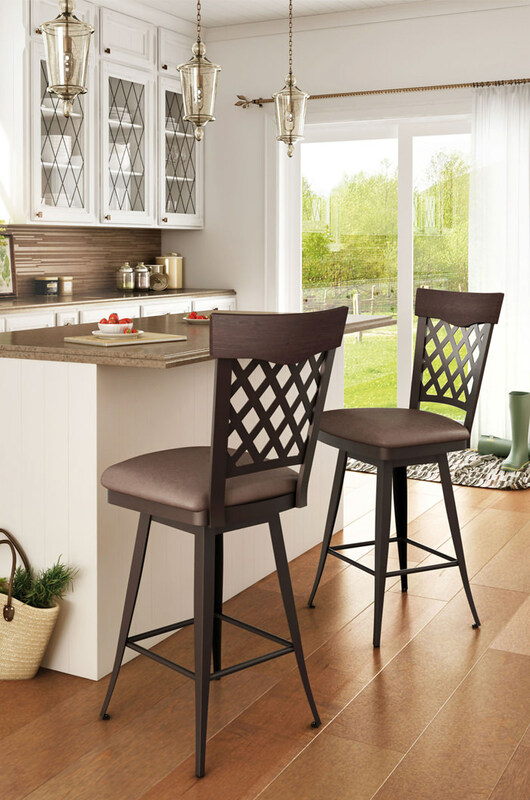 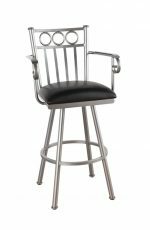 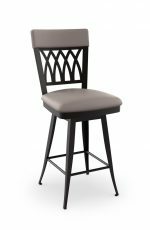 This stool is sure to earn pride of place in kitchens where togetherness is the key ingredient and fond memories are born.